Response: More and more patients suffered from diabetes mellitus (DM) around the world, as well diabetic complications such as diabetic retinopathy (DR). 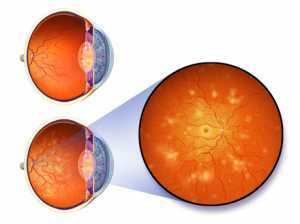 DR is one of the major causes of blindness in working-age adults. In addition to the cost of treatment for patients with advanced DR, loss of visual function also yields a great burden to the family and society. For advanced DR, surgical interventions such as retinal laser, intravitreal injection, and vitrectomy are needed. However, those surgical interventions for severe DR can only retard or stop disease progression. If DR can be prevented or slowed by medical treatments, the burden of medical costs for treating severe DR may be decreased. Statin, an HMG-CoA reductase inhibitor, was discussed frequently in the recent years. Multiple functions of statins besides their lipid lowering effect were discovered. Previous investigations have reported that statin therapy could reduce mortality rate and decrease risk of cardiovascular diseases. Medical Research: What is the background for your study? Dr. Kiss: There has been a good deal of publicity about bevacizumab (Avastin; a Genetech/Roche antibody originally developed for treatment of cancer but now used widely to treat macular degeneration and diabetic retinopathy) being prepared by (mostly unregulated) compounding pharmacies for injection into the eye, and being associated with pathogen contamination.